Really appreciate your input ! And its all down to your years of hard work that these are coming along well. 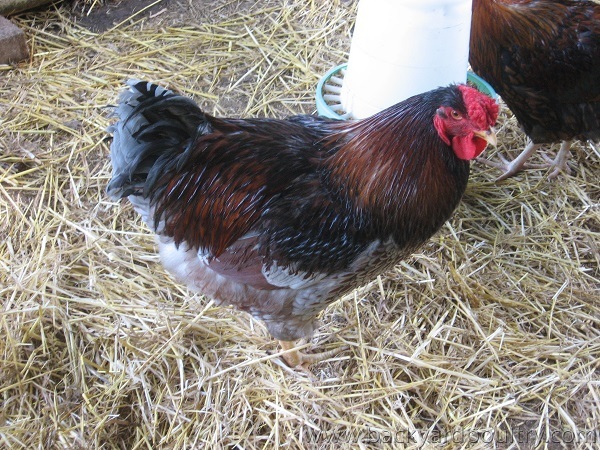 I have one cockerel - hes not bad , probably not as dark a red as i would like , but he is well laced , good type and huge , its taking him a long time to mature , as he is so big . There must be a mistake, only 245 views so far . I'm sure i've been back to look at these at least a thousand times already . So here is an updated photo of the cockerel , still growing and filling out . I am concerned about the lighter red/bronze colour in his hackle - will just have to wait and see how he feathers out as an adult bird. This photo doesnt do his size any justice - he is a big fella. Great progress Angel. It's lovely to see that rich red colour. In a breeder, one thing to consider will be the hollow comb. It can be frustrating if it occurs in your best bird as when in a breeder it gets passed along to a lot of the offspring. I hope some of the females have good combs that might result in an improvement in the next generation. We are still getting a few hollow combs here and are doing our best to remove them, along with the RIR head and the pale eye which is very persistent in the reds. It's great to see your photos. Thanks for sharing them. Yep he has his faults , comb isnt the best i know , a couple of the pullets also have the hollow comb , so will have to avoid using him with them , but i do have several that have neat combs with no hollow front, so hopefully i can make some improvements there in the breeding pen (lots of chicks , cull hard). Lot's of good things to work with there Angel. Beautiful big round shape on him, nice deep ground colour and nice blue to him. Nice thick shanks on him . Wow nice looking birds. Love 2 & 3. Can't wait to see more photos Angel. Thanks CBD , i hope the next season sees some more improvements again. Nice fine lacing there angel. Nice front and a nice comb too. Still a work in progress, but coming along nicely ! 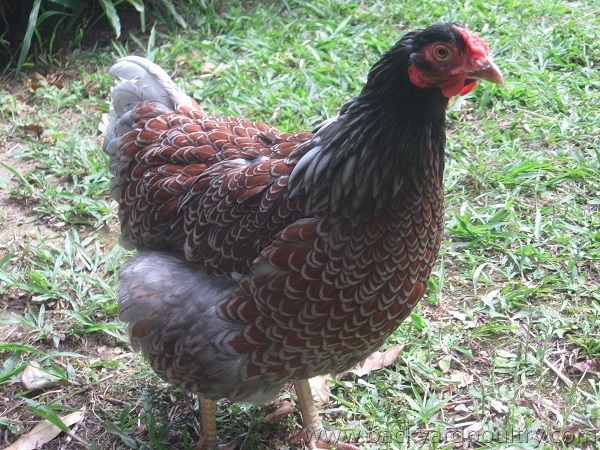 Nice lacing coming through on your pullet Wallan , and the shade of blue stands out well ; like mine , the ground colour needs to be somewhat redder , a real deep mahogany , hoping i get there with the ground colour this year . Thanks Cathy, her lacing has really come on , going to work on deeper ground colour this year (as well as type) , first lot are due in 2 weeks , fingers crossed i have a successful hatch.